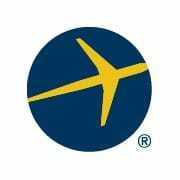 BELLEVUE, Wash., Oct. 5, 2015 /PRNewswire/ — Expedia.com®, one of the world&apos;s largest full service online travel sites1, today released the results of the inaugural Expedia 2015 Hotel Etiquette Study, which asked 1,022 Americans to rank the frustrating, sneaky, sometimes quirky behavior exhibited by their fellow hotel guests. The study was commissioned by Expedia and conducted by GfK, an independent global market research company. By a slight margin, “Inattentive Parents” – parents who let their kids run wild – are the most aggravating hotel guests, having been called out by 67% of Americans. 64% of Americans are frustrated by “Hallway Hellraisers,” while 54% of Americans complained about “The Complainers,” or guests who berate hotel staff over minor inconveniences. A full analysis of the 2015 Hotel Etiquette Study can be found at Expedia&apos;s Viewfinder blog. Americans are divided on hotel tipping habits. A full 27% report that they “do not tip” hotel employees at all. 3% have attempted to tip a hotel employee to secure a room upgrade. 51% of Americans tip their housekeepers (who are tipped more than any other employee). 40% tip for room service deliveries. 31% tip the valet. 21% tip the porter, just 10% tip the concierge and 7% tip cabana attendants. Americans may be split on whether to tip the housekeeper in part because of personal organizational habits. 80% of Americans profess that they keep their hotel room “tidy,” versus 20% of guests who rely entirely on housekeeping. 2% have deliberately eavesdropped on guests in a neighboring room. 6% haggle with the hotel over their room rate at check-in. The study was conducted online using the GfK “KnowledgePanel,” an online probability-based panel designed to be representative of the US general population, not just the online population. The study consisted of 1,022 interviews of randomly selected U.S. adult residents, conducted between August 7-9, 2015, among adults aged 18+. 1Based on a comparison of other full-service online travel agencies, defined as those providing booking and services related to air, hotel, cruise, car and activities to a global customer base. Data based on comScore Media Metrix for Expedia, Inc. Sites, Worldwide, Average Monthly Unique Visitors, Oct &apos;12-Sept &apos;13. GfK is one of the world&apos;s largest research companies, with more than 13,000 experts working to discover new insights into the way people live, think and shop, in over 100 markets, every day. GfK is constantly innovating and using the latest technologies and the smartest methodologies to give its clients the clearest understanding of the most important people in the world: their customers. In 2012, GfK&apos;s sales amounted to €1.51 billion. To find out more, visit www.gfk.com. GfK Public Affairs & Corporate Communications is a division of GfK. The group specializes in customized public affairs and public opinion polling, media and corporate communications research, and corporate reputation measurement in the US and globally, in addition to delivering a broad range of customized research studies.